Asakusa Hoppy Dori Street is close to Senso-ji Temple in Asakusa. There are 25 casual izakayas and bars line up along the street. Hoppy is a non-alcohol drink that has a flavor like beer. Usually Japanese people mix hoppy with “shochu”, a clear distilled liquor. Because there many restaurants which provide “Nikomi”, Japanese stewed dishes, this street is also called “Nikomi Dori Street”. “Tsukushi” is a “Monja” restaurant with a long history. This restaurant is so popular that many people form a line in front of the restaurant on weekends. A world famous movie director Takeshi Kitano also loves this restaurant. Their specialty “Monja” is a local food of Tokyo. This food is made of dough of wheat and baked with various ingredients with spatula on an iron plate. Also “Okonomi-yaki”, a meat and vegetable pancake, is popular. It is a food made of dough of wheat with cabbage and meet. It is baked on an iron plate and usually people pour sauce on it. Although his restaurant used to have only these 2 menus when they opened over 40 years ago, now they have over 140 menus. Those who want to eat various dishes, visit on the lunchtime because they have all-you-can-eat buffet style at that time. Usually customer themselves cook the Monja or Okonomiyaki, but if it is your first time to do this, just ask staff for a help. There are 50 seats including some private room. 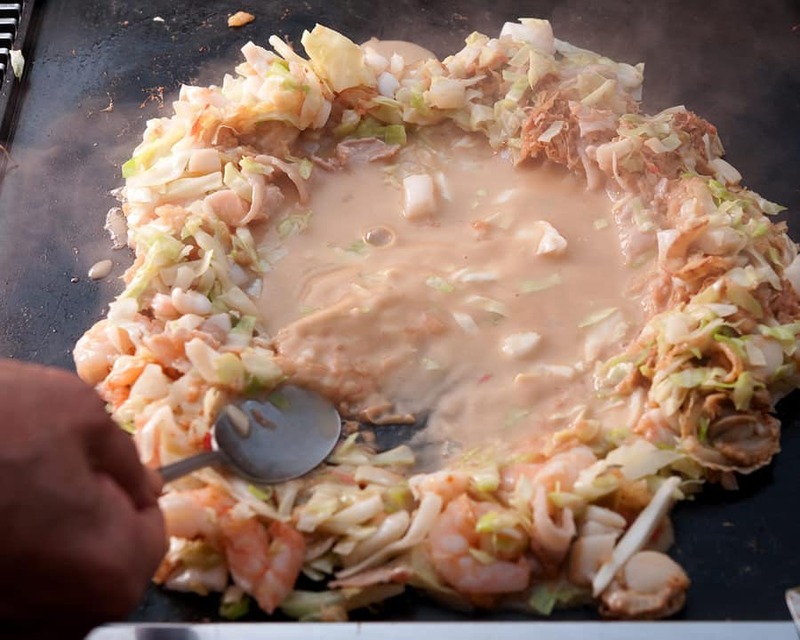 You may want to try Monja at Tsukushi. Monja is unique food in Tokyo. What characterizes Monja is the way of cooking. At first, fry vegetable and meet and put them in circle on the iron plate. They call this “Making a bank”. After that you pour the dough into the circle. After a while the dough will get a little bit tough, and then stir the dough with vegetables and meet. You are supposed to use a spatula to pick them up after taking a mouthful quantity and browning it with the spatula. By doing so you can get savory Monja. The most popular Monja menu in Tsukushi is “Special Tsukushi Monja”. This is a Monja with chikuwa (a tubular roll of boiled fish paste), sausage, takuan (yellow pickled radish) and raw squid. The ingredients that have been used in Japan for a long time will recall your good-old memories. Because they take time preparing those dishes just only for a day, the taste doesn’t change. What is Asakusa Hoppy Dori Street? Asakusa Hoppy Dori Street is also called “Nikomi Dori Street”. There are many casual Izakaya where you can drink and eat even during the lunchtime. There are 25 casual izakayas and bars line up along the street. Some restaurant has their seat even outside the restaurant, so you can easily go and set down and friendly local customer will start talking to you. The communication is very easy here because of good alcohols and foods. There are many restaurants where you can try boiled pig innards, guts and beef sinew. The main drink there is off course “Hoppy”. Enjoy the drink that is made of hop with clear distilled liquor. Enjoy cheaply and get drank happily! 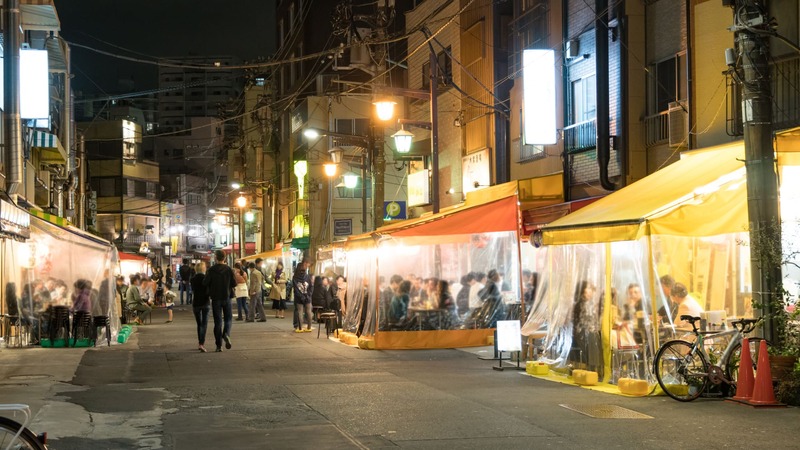 This is the Tokyo bar hopping night tour that you can enjoy bar crawl in local backstreets of Asakusa. You will see the atmosphere is a little bit different from daytime. 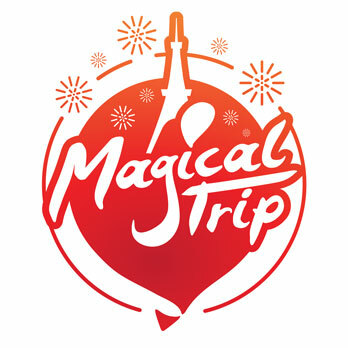 A guide who speaks English will introduce you to some Izakaya and Bar for 3 hours. Enjoy good local food and their original drink Hoppy!